When I was growing up, two of the houses I lived in had indoor barbecues. Actual charcoal barbecues with fireplace-type chimneys. I'm pretty sure these are illegal now what with concerns about carbon monoxide poisoning. But really, how are they any different than wood burning fireplaces? I really don't know what I'm talking about... I'm just saying, I still can't believe that we had indoor charcoal barbecues. In southern California. Where you can barbecue outdoors pretty much 365. One of the big treats that came from those barbecues was "chateaubriand." Doesn't that sound so French? Kind of like "filet mignon." This was before cable, the Food Network, and celebrity chefs. So... If I were a contestant on Jeopardy, and the clue was "An alternate name for beef tenderloin," I would say "What is chateaubriand, Alex?" So, there you go. Oh, and filet mignons (or is it filets mignon?) come from a chateaubriand. Again! There you go. I digress one more time. Let's get to this fabulous beef tenderloin. 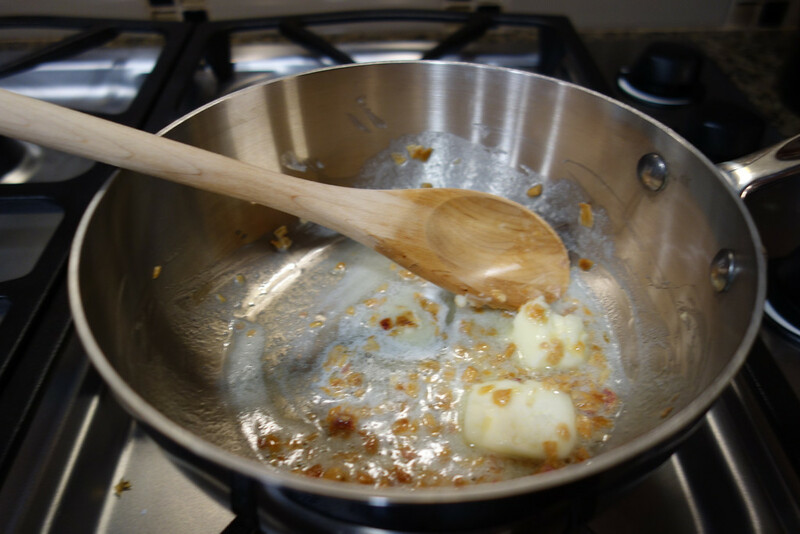 I found this recipe on my friends' Deirdre and Paul's blog, East of the Equator Cafe. (Definitely check out their blog) Both Deirdre and Paul contribute, and they are both unabashed lovers of good food, wine, and recipes. Sear the meat in the pan - approximately one minute per "side." 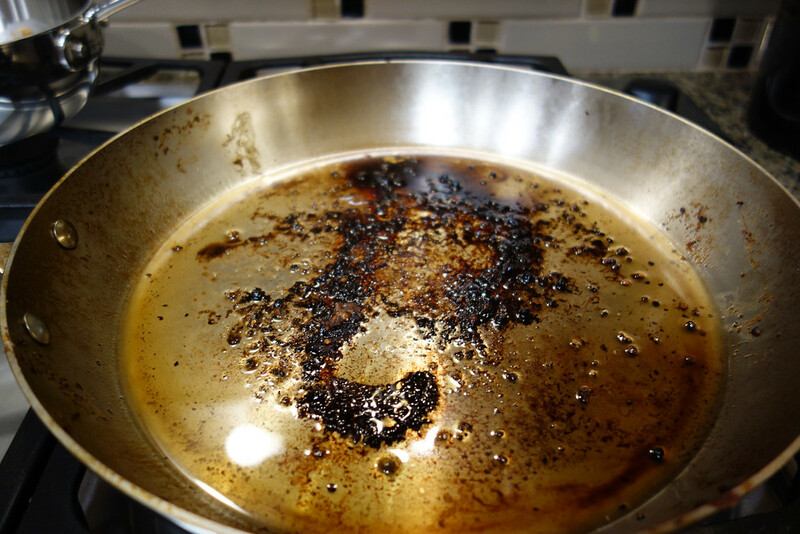 Pour the wine into the pan to deglaze it and scrape up all of the brown bits and pan drippings. 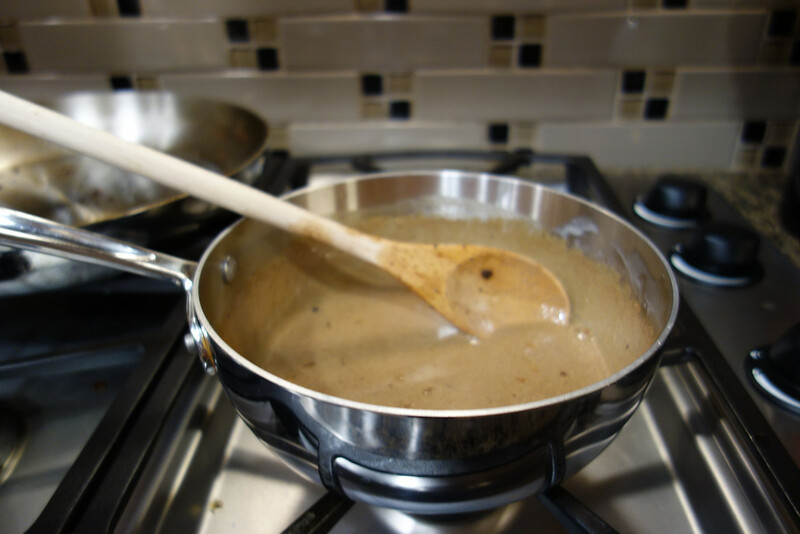 Add the mustard and cream and bring it to a simmer. 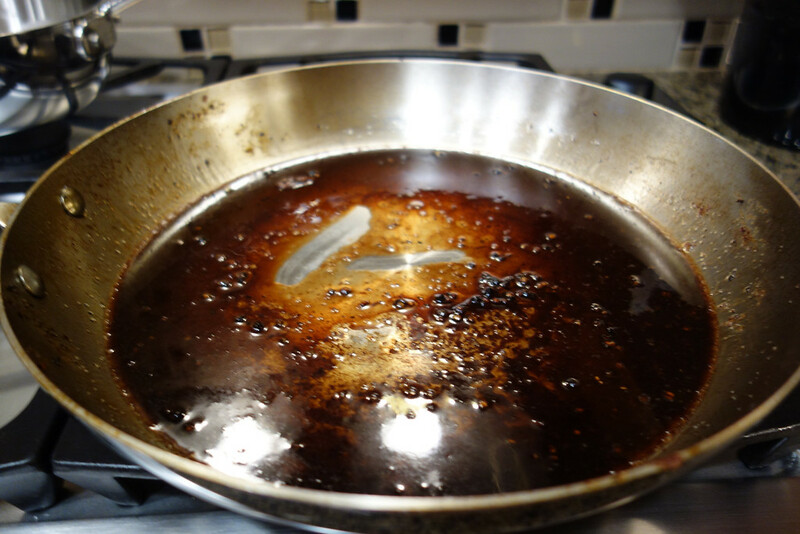 Add the deglazed pan drippings. 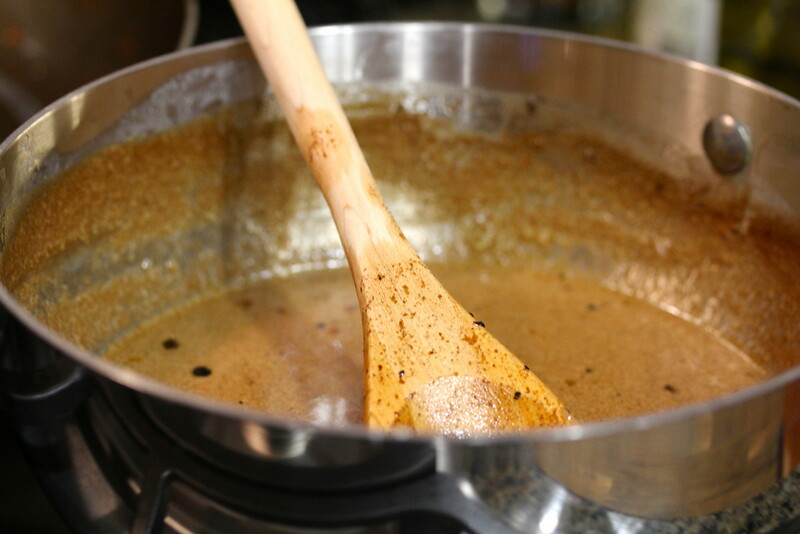 Continue to stir until you fully develop the flavors and the sauce darkens slightly. Serve the sauce with the roast. This is an elegant and sophisticated dinner. So good. OMG good. We served it with smashed potatoes and green beans. What a wonderful post. I would love to have some tenderloin roast for dinner. Looks delish. Do you think it would be good with pork loin instead of the beef? I've not tried it and I'm not sure pork tenderloin is juicy enough. You would probably have to brine it before roasting it. 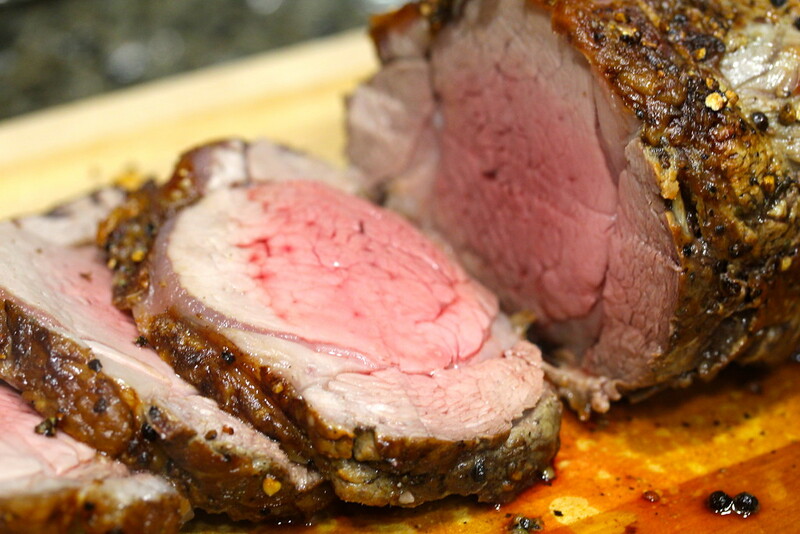 the meat in the picture looks like a prime rib roast, is it beef tenderloin? Usually tenderloin doesn't have fat around the outside?? It wasn't the narrow tenderloin, but the thicker chateaubriand. Thanks michelle! I think that if you have a 4 pound roast, you will have enough for everyone. If you have big eaters, or want leftovers, I'd make 2 3 pound roasts. Thanks so much Michele. I'll have to try the coffee/sugar rub too! What kind of red wine did you use? I think I used a Chilean Carmenere, but a merlot or cab would both be fine.